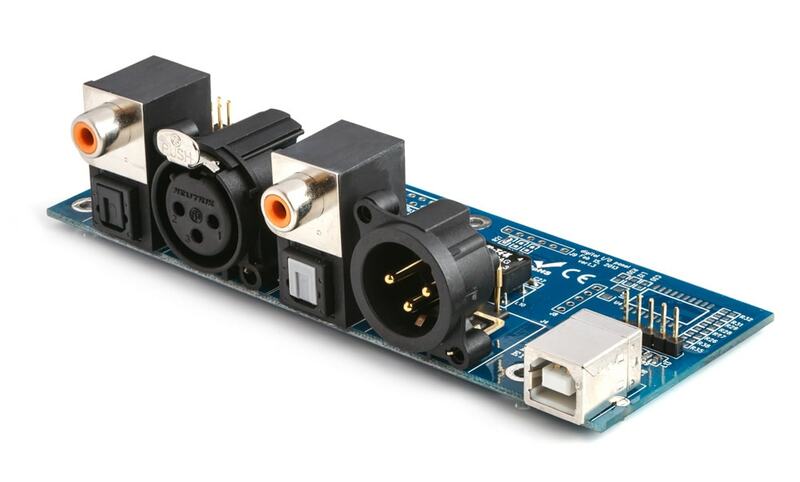 Introducing the miniSHARK kit, a powerful DSP module designed to fit the needs of floating point audio processing for OEM applications and custom products. From room correction to linear phase crossover filter, the miniSHARK palm size form factor is the perfect fit for to complete your product with a ready made module. @ miniDSP, we believe in flexibility and open architecture. 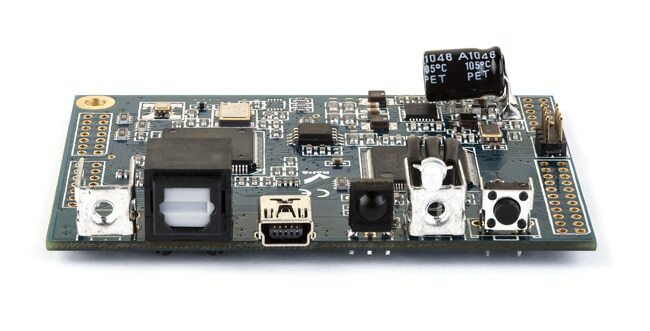 The concept of the miniSHARK kit is to provide an open platform where algorithm designers can easily load their custom IIR/FIR based filters on the DSP. 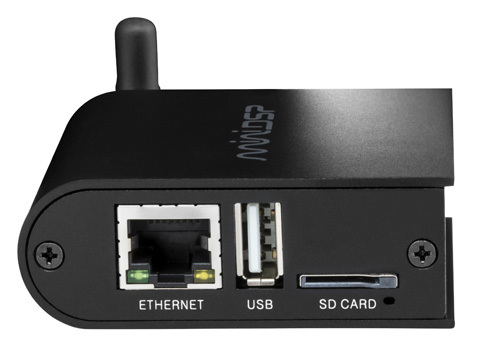 Thanks to the onboard SD card, designers do not require a computer to configure the device nor to upgrade firmware. For real time configuration, the driverless USB connectivity allows control from both Windows and Mac environment. 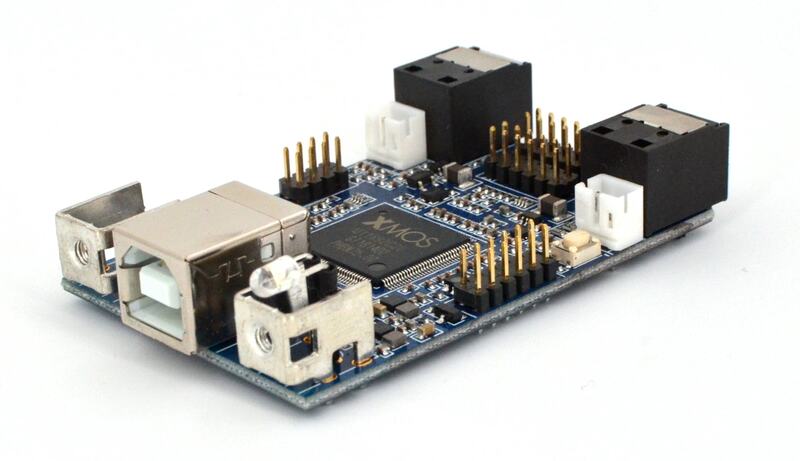 STOCK UPDATE(21/03/2019): The miniSHARC kit is unfortunately out of stock as we ran out of modules. We hope to build a new batch in the comming weeks. 32bit floating point - Current support for 48k and 96k on 2 plug-ins. Plug&Play USB driver and Software configurable via Mac/Win plug-in. Once a plug-in redeemed, the download will automatically become available under your UserDownloads section. Please make sure to read the user manual for more details. Power consumption depends on loaded DSP firmware. Introducing the world of Digital Room Correction (DRC), a process where digital filters are used to correct speaker + room aberrations. A 3 step process yet an acoustical challenge where DSP & Math Gurus use all resources to solve this complex problem. The following lines will summarize the basics of room correction in a setup involving a PC/Mac with a measurement/filter generation software, a measurement microphone and an audio processor (OpenDRC). In this application note, we will explain the difference between FIR ("finite impulse response") and IIR ("infinite impulse response") filtering. rePhase is a Windows-based freeware program written by Thomas (aka "pos"), a long time miniDSP community member. rePhase generates finite impulse response (FIR) filters that "reverse" the phase shifts introduced by a loudspeaker crossover. rePhase can also generate linear-phase crossovers. With the aid of a real-time FIR filtering engine or "convolver" such as miniDSP's OpenDRC or miniSHARC, the result is a linear-phase loudspeaker system. This tutorial will provide a walk-through of filter creation using Filter Hose to linearize a loudspeaker frequency and phase response. Data will be exported to MiniDSP OpenDRC.